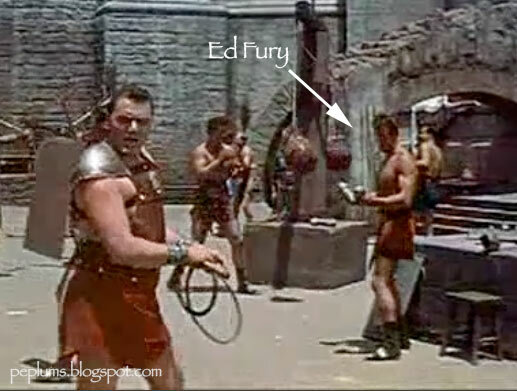 Ed Fury was initially uncredited for his appearance in DEMETRIUS & THE GLADIATORS but at IMDb he's listed. So I tried finding him and here he is. 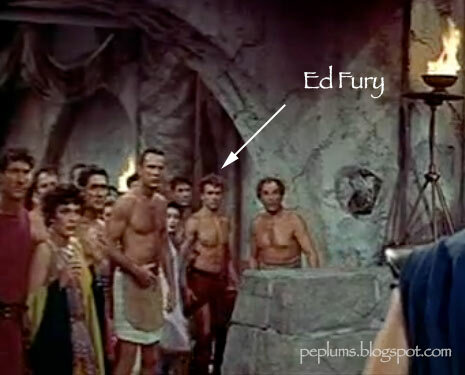 He's also in another shot, filmed from the back. 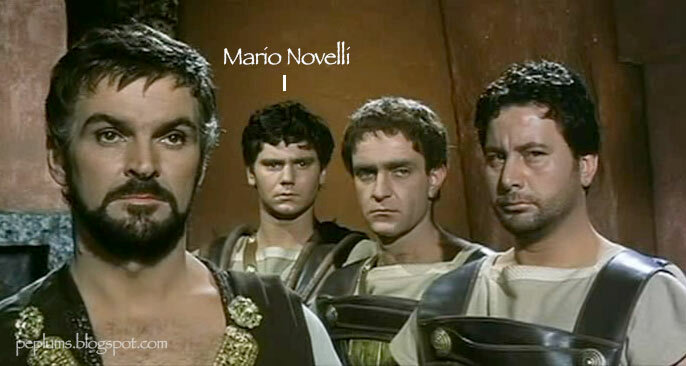 Mario Novelli, star of many PEPLUM films including THE INVINCIBLE BROTHERS MACISTE, appears briefly in SODOM & GOMORRAH. Mario is not listed at IMDb for this film.